We offer a variety of Indian Mixed Masala Papads that are prepared using only the best quality ingredients. A fine blend of quality and taste together, these snacks are prepared in hygienic conditions with utmost care towards quality and packaging. We ensure not to use any of the food colorants or additives to ensure its natural freshness and taste. Not only this, our complete variety of snacks is also devoid of any preservatives hence making it not only tasty but all the more healthy as well. 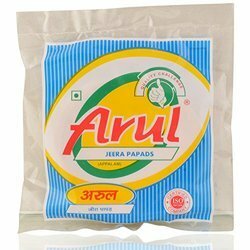 Avail from us a variety of Masala Papad/Appalam/Poppadom that is a unique blend of a variety of Indian masalas that blended and mixed together in the preparation of these papads gives them a unique taste that is sure to win hearts of many food lovers across the globe. We offer these papads to our clients at industry leading prices in exact quantity of amount as ordered to us. 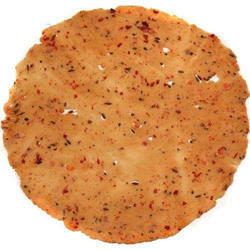 We offer a sumptuous range of Mix Masala Papad to our clients. These are made as per the requirement of our buyers ensuring hygiene factor. Known for great taste, these can be made available to our buyers at industry leading prices. We are engaged in offering a wide variety of Urad Papad/Appalam/Poppadom to our clients that is appreciated for its taste and purity. 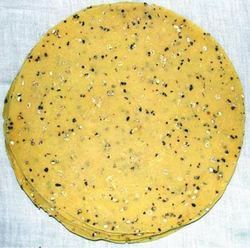 We are offering Urad Dal Papad/ Ulunthu Papad that is made by our experienced professionals using all the ingredients in the right quantity. We strictly follow the required quality standards to ensure only right taste and freshness is delivered to customers. 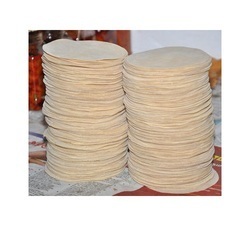 We offer these Ulunthu Papads to our customers at highly competitive price. 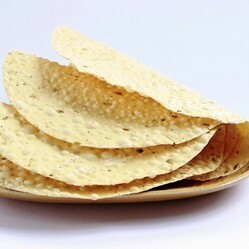 The Special Masala Papad/Appalam/Poppadom are made using high-quality ingredients. Further, these are packed in airtight packets to ensure its freshness and crispness for a longer duration of times. Jeera Papad as the name suggests is the papads that are flavoured with handpicked and carefully sorted jeera that gives these papads a unique taste and flavour. These are carefully prepared as a little less or a little more amount of jeera used in them may distort its taste, hence we ensure keeping the quantity of jeera right in place to ensure its perfect taste.